Many of us will know what a synthesizer looks and sounds like through our experiences with both the software and hardware versions, whether it was bashing away at your brothers keyboard or fiddling around with your first synth VST! They have been around the music industry since the first early concepts began to take shape in the late 50’s early 60’s by a German engineer, Harald Bode. Bode was a pioneer in the development of electronic music instruments, and ended up developing a modular synthesizer and sound processor and in 1961. After this development, he wrote a paper on the concept of self-contained modular synthesizer using newly emerging transistor technology and continued to work on , and develop more ideas. Donald Buchla and Robert Moog were quick to adopt Bode’s ideas and along with others, they would develop them into a reality. The process of creating sounds using synthesizers is called synthesis. It is done so through the process of creating sound waves through electronic signals that are converter into sound waves using instruments and loudspeakers. We have many different types of synthesis and synthesizers. Many software synths can replicate the sound of real-life instruments, such as piano, flute, choirs and much more. In this article we are only going to scratch the surface of synthesis as it is a very expansive topic and you can really delve quite deep. Below we are going to be looking at some of the most common types of synthesis, what parameters we are presented with on both hardware and software synths and examples of some of the best known synths available on the market. 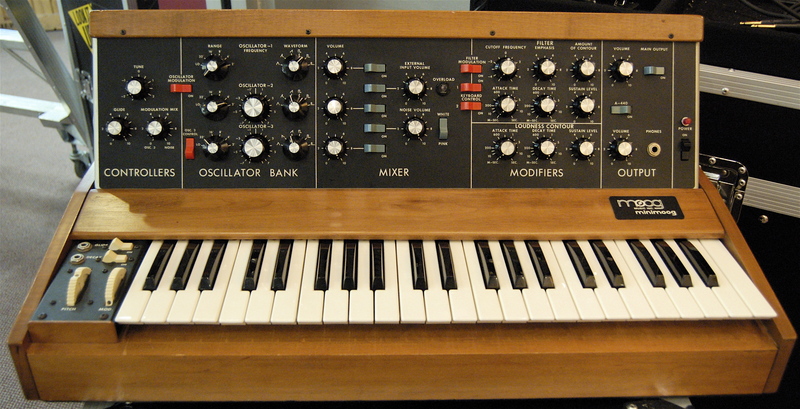 Moog – Minimoog. One of the best & most recognisable synths ever made. Additive synthesis works exactly like it sounds, it combines the use of multiple waveforms, added together to create unique sound frequencies. Adding two or more waveforms together can result in complex tones and harmonies. As you can see from the diagram below when you have two different waves that have different cycles per second or hertz (hZ), when they are joined together they create a new and interesting waveform. Subtractive synthesis works in the opposite way to additive synthesis. Subtractive works by subtracting harmonics from the original waveform. Then we proceed to remove particular frequencies with the use of a filter, until we get our desired sound. FM stands for frequency modulation and is the process of changing the tone of a simple waveform (square, triangle sawtooth) by modulating it’s frequency with a modulator frequency which is also contained in it’s audio range, also called the carrier. This process results in a more harsh, dark and gritty sound and overall more complex waveform. Granular synthesis is based on the same idea as sampling, although with sampling the sounds get played back more conventionally. Granular synthesis uses the microsound time scale, the sound samples are split up into usually between 1 to 50 milliseconds called grains. They are then added together to make an audio file. 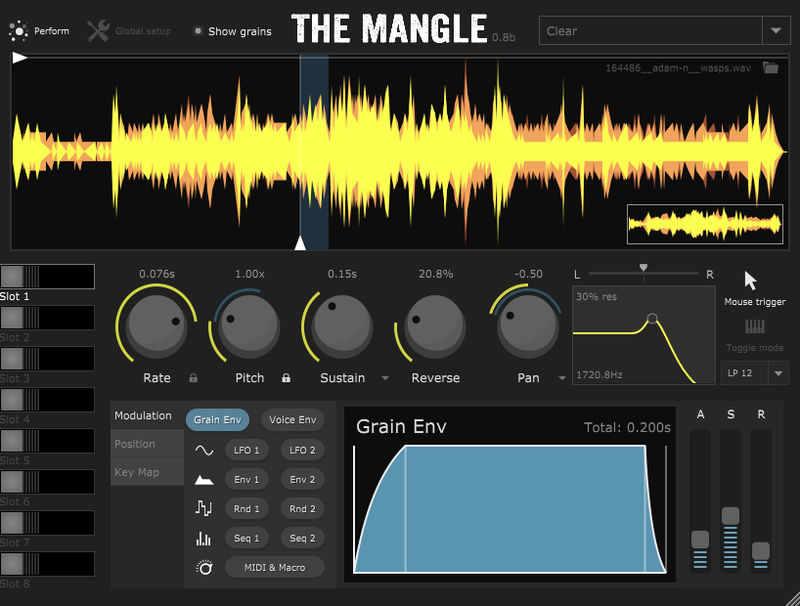 Many different sounds can be extracted from these grains using multiple different parameters. Usually sounding quite raw, you can blend a number of grains together to create some very interesting sounds. Used mostly to create realistic, natural sounds. 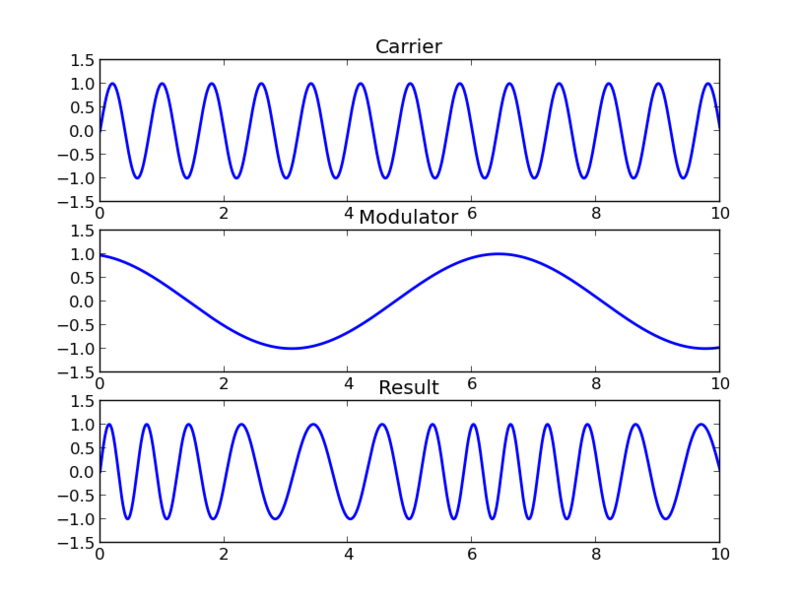 Wavetable synthesis consists of isolating one loop of a wave and the synth then stores a digital representation of that sound in a table. Imagine it as a table of pre-saved waveforms, which can be recalled at anytime. Check the picture below for a better visual representation. 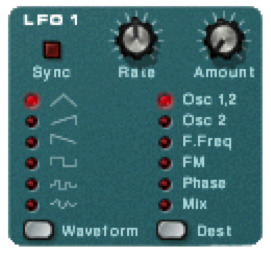 LFO stands for low frequency oscillator and is a electronic signal below 20 hZ (human hearing) and this is what is used to modulate our synthesizers with a pulsing or sweeping. Many synths with have a number of different LFOs so you can send the same signal through a number of different LFOs to create some very interesting sounds. Filters are what we use to shape the sound that we have produced with the synth. You will probably know of the terms hi and low pass filters. There are many other filters including band-pass, notch filters and shelves. Below you can see an example of them and how the work. As you can see from the pictures below, a low pass filter will do exactly that, allow all the lower frequencies (depending on what you set the threshold at) pass through the filter and cut out all the high frequencies. They are typically used for shaping the sound and getting rid of unwanted high-end hiss or shimmer. A high-pass filter does the exact same thing but relates to the lower-end of our frequency range, we would use a high-pass filter to remove things like low-end rumble and muddy elements. A bandpass filter will eliminate all the frequencies that are not within a specific band on either side of the selected frequency, imagine a low & hi pass filter in one. 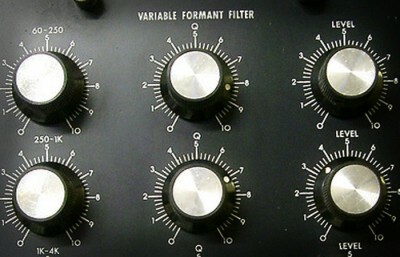 Not commonplace with many synthesizers, the notch filter works the opposite to a bandpass filter, and will eliminate all the frequencies within a specific band of frequencies. This is the final element the sound will pass through before leaving the synth, usually there is a number of these on a synth so you can route the sound a number of different ways. They will always have the same parameters which are described below. 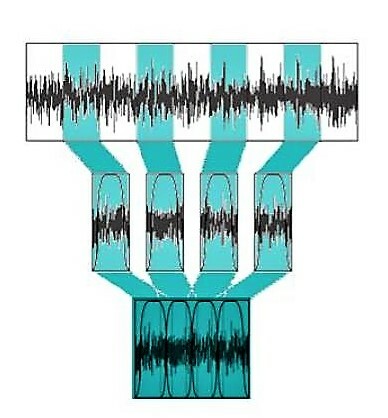 Attack – The attack of the sound is the initial slope the sound follows when it is first produced. Decay – This refers to the time it takes the note to go from it’s maximum level to its sustain level. Sustain – The sustain or sustain level relates to the level that the note is at while it is being held. Release – The release means the time it takes the note to get from the sustained level to silence. So that’s it! For more on synthesis and using them within popular software we have a number of online courses that show you basic, intermediate and advanced synthesis tutorials covering many different VST’s and software! We hope you enjoyed this brief description, and hope it will help you get a better grasp of synthesis! Again, this is a very basic guide and this topic can be explored much much more!